Did you know that business owners typically spend 33 hours searching for capital? The 3-minute BusinessLoans.com Fundability Quiz is designed to show you which of the 9 most common business financing options your business may qualify for, and why. 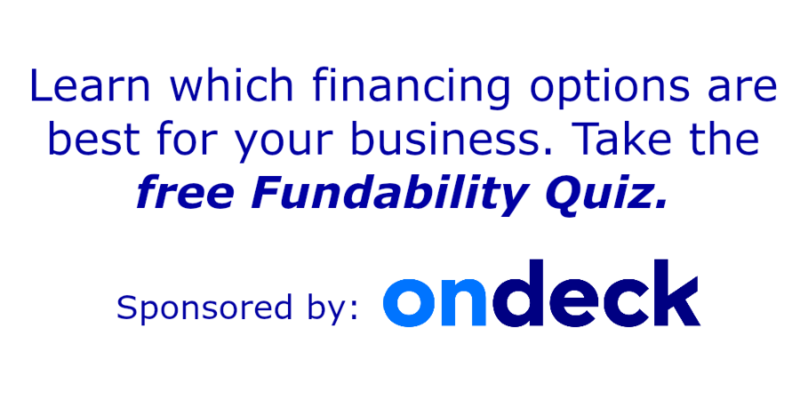 Take the Fundability Quiz, sponsored by OnDeck.